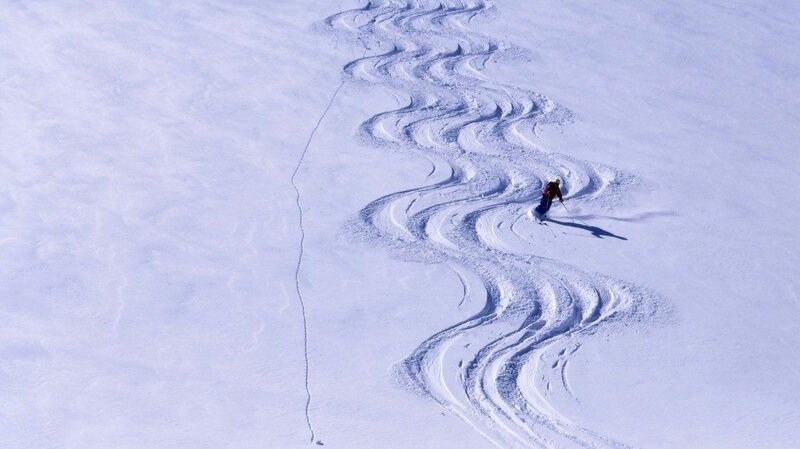 Easter is a lovely time to come skiing for many reasons but this year, because of the huge amount of snow that has fallen, it’s set to be fantastic for sunny skiing with good snow conditions. Easter Sunday falls early this year on 1st April doubling up with April Fools Day, so beware of any funny goings on around resort! The warm spring weather has finally arrived meaning you can enjoy more laid back skiing in sweatshirts and hoodies and not worry so much about layering up and carrying lots of extra clothing. Hand warmers can be replaced with suncream and you can take it easy cruising around Courchevel. There are great spots to stop and enjoy a refreshing drink whilst chilling out on a deck chair, like Le Bouc Blanc restaurant above La Tania and Waikiki Hawaiian Bar at Hotel Courchneige in Courchevel. In the last two weeks of the season, there are usually some fantastic deals to be found on catered chalet holidays and apartment rentals. 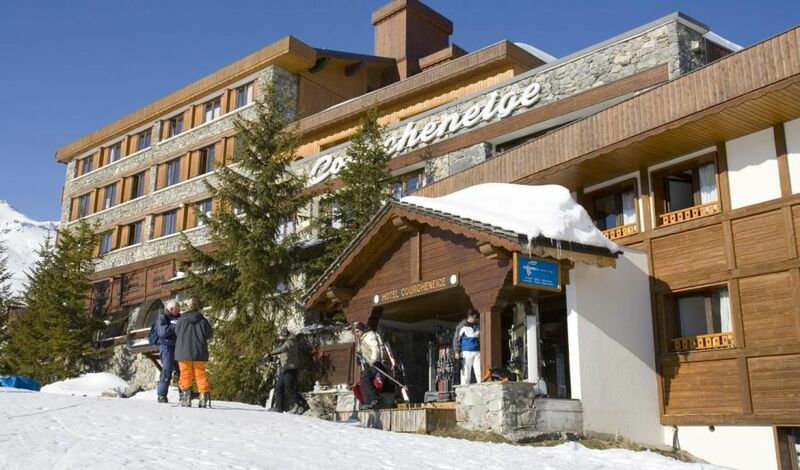 Companies want to fill up their accommodation and you can sometimes find catered chalets for as low as £199 per person in Courchevel Le Praz and La Tania. It is worth doing some research and, if you’re last minute booker, then you’re sure to find some very special offers. Despite the worry of slushy conditions in the lower resorts, there is still plenty of amazing snow to ski higher up. 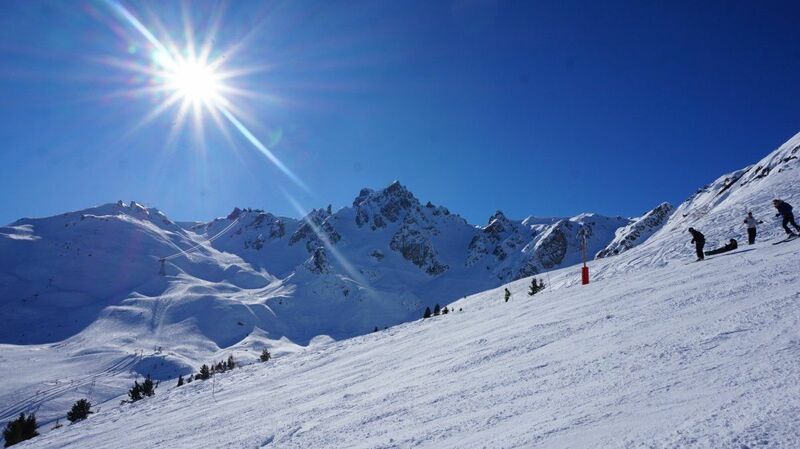 The highest point in Courchevel is 2739m, with a bit of knowledge and timing you can find good skiing all day. Start low and follow the sun and you’ll get the best of it. The days are longer so you can ski until later, perfect if you hate early mornings. Check your piste maps for the later closing times of the lifts which range from 16:45 to 17:05. 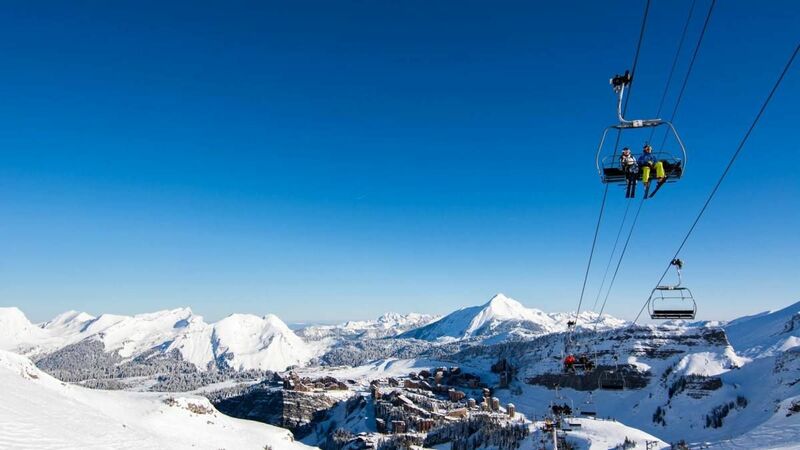 It is also possible to ski into Courchevel main station after last lifts, then get the free and reliable ski bus back to any of the lower resorts. 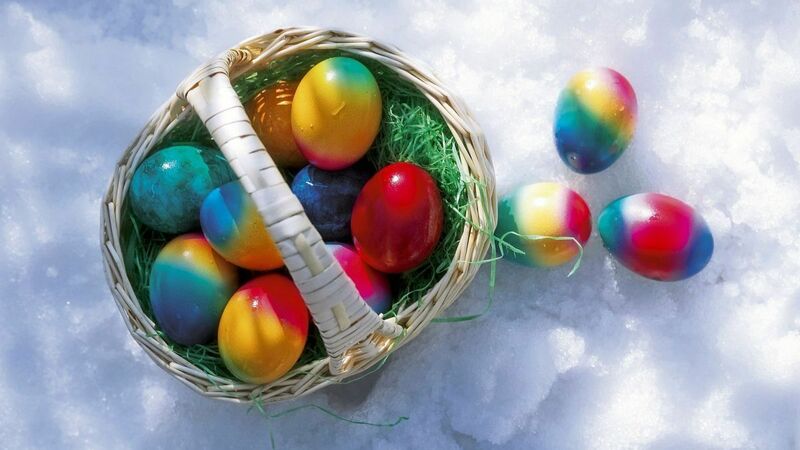 There will be many Easter-themed events suitable for families happening on Easter weekend including a Snow Party for children with a chocolate egg hunt around resort on Saturday. Chocolate lovers won’t be disappointed as there will also be an additional Easter egg hunt on Easter Sunday in the gondolas around Courchevel, Courchevel Moriond, Village and Le Praz. A super way of trying some excellent Savoyard cuisine and getting a great t-shirt tan is having lunch at one of the many mountain restaurants. When the sun is shining and your tummy is growling, there is no better place to be than sat outside in a beautiful mountain location enjoying the local cuisine. Courchevel has a plethora of stunning mountain restaurants with fantastic views around the valley making lunchtime a real treat for the eyes and the belly. 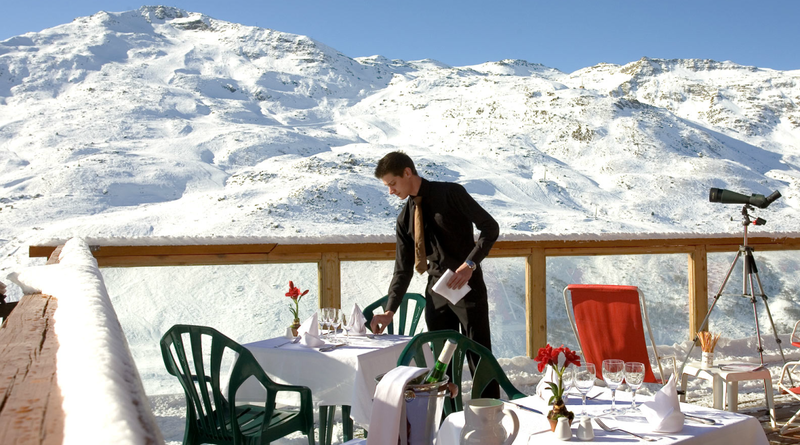 Le Rendez-Vous Brasserie and Grill on Bellecotte piste has a huge terrace that gets sunshine for most of the afternoon with incredible views over the Altiport and Bel Air Restaurant in Courchevel Moriond is a great restaurant with filling food and mountain scenery. After all the craziness from the snow storms earlier in the season, the roads are clear of snow making it easier to drive all the way up to the resort. 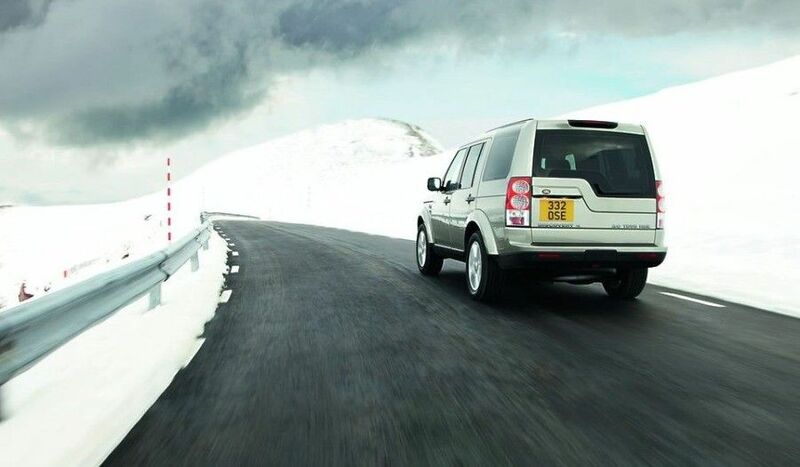 If you are choosing to drive from the UK, be aware that winter tyres and snow chains are mandatory in France in areas that experience extreme weather for prolonged periods every winter, therefore, Alpine resorts like Courchevel are included in this. It’s a good idea to have a pair of snow chains in your boot just in case! Posted in What’s new ?